People in many countries, especially advanced countries, are expressing growing discontent about globalisation. They feel that its benefits have accrued mostly to a small and already well-off segment of the population. In addition, many citizens are dissatisfied with the way economic integration has been advanced. They complain about too little transparency and too many conflicts of interests between policy makers and firms. Several of the negative effects feeding the discontent have more to do with technological change than with globalisation per se, but the two are closely intertwined. Moreover, the policies put in place to alleviate negative impacts of economic openness on some groups, industries and regions have not always worked as intended, and global rule-making has not kept up with reality. Given its many benefits, reversing economic integration is not a solution. Rather, we need to find ways to make it work for all. 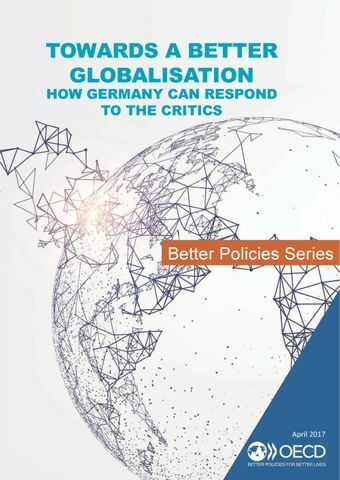 This report sets out what needs to be done to advance a fairer and more inclusive globalisation – at the global level, at the European level and within Germany.